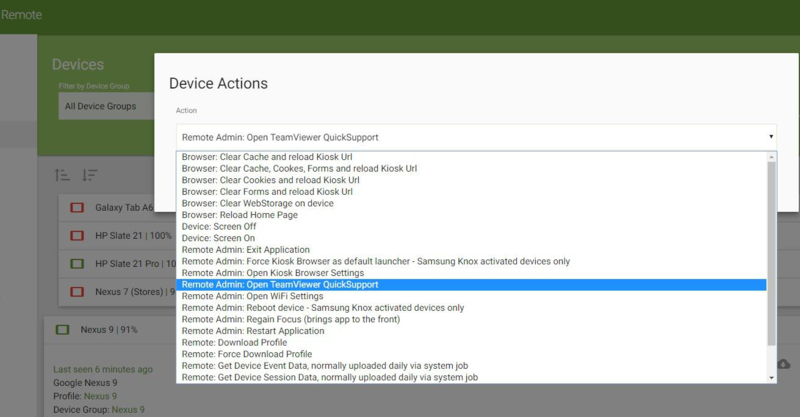 Kiosk Browser Remote Management will enable you to launch TeamViewer QuickSupport on your device(s). 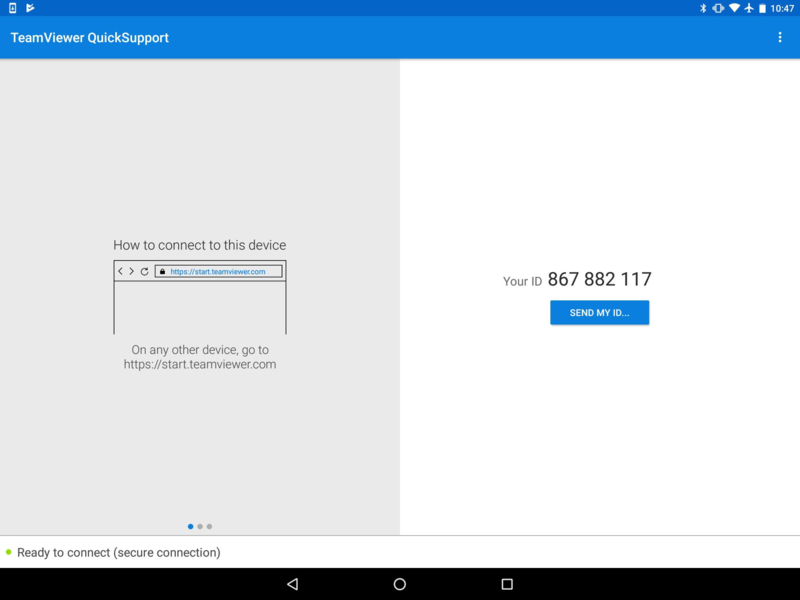 This will allow a local admin to provide the TeamViewer session ID to you, giving you total control over the Android system. Firstly you would need to select the relevant device from within your Remote Management account, select the overflow menu to open the Push Device Actions list. You would then select Remote Admin: Open TeamViewer QuickSupport from the list. This option will open TeamViewer QuickSupport on the device; if this is not installed it will take the local admin to the Google Play entry in order for it to be installed. The local admin would then see the TeamViewer session ID on the display and can relay this, allowing you to open a TeamViewer session and make the changes you need within the Android system. You can use the "TeamViewer Host" application to control the device remotely, however commercial use would require you to purchase a subscription directly from TeamViewer. If TeamViewer Host is installed on the device, then selecting Remote Admin: Open TeamViewer QuickSupport in the Push Device Actions menu will force the device to run the background process (in the event the process has crashed and you need to start it).